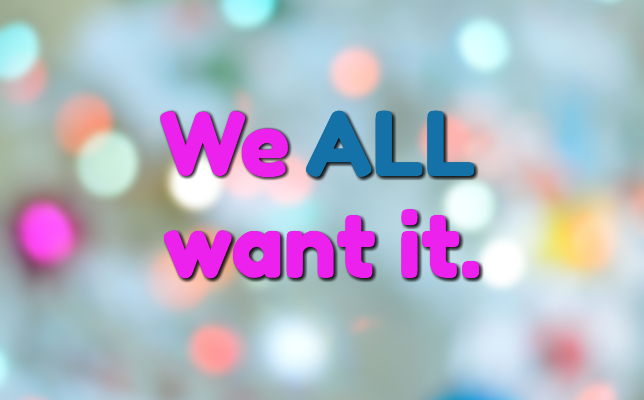 » We ALL want it. Today is Day #33 for me to be in Santiago, Chile. Yes, as I mentioned two weeks ago, I’m thinking in Spanish, but that doesn’t mean I understand everything that’s being said and felt here. My ears strain to listen well. My brain is tired at the end of the day. I find it’s a lot easier to ignore conversations taking place in a language not your own. But how loving is that? I’m glad God didn’t take the easy route of ignoring. One of my favorite verses in the whole Bible is Hebrews 4:15. Jesus is not unable to empathize. That means He’s very able to empathize. Just last month, we celebrated Jesus, the Son of God, coming to be with us. Jesus, our great high priest, was not just able to empathize—He was willing to empathize. And I want to be like Jesus. Think about it. God, the Creator of all had every right to stay in cozy, glorious Heaven, and to not be inconvenienced one bit by His creation who chose (and continues to choose) to disobey Him. Yet He came to meet us, listen to us, feel for us, and give of His life for us. We ALL want to be heard. We ALL want to be understood. We don’t always do our best to hear and understand others. We tend to attend more self-pity parties than compassion parties. Even as Christians, we often live as if empathy were optional. Is this another “Go be a Missionary” blog post? Not necessarily, even though being a missionary is awesome. What does it mean to empathize? In the original Greek language, the word “empathize” is sumpatheó, and it means to sympathize with, to have compassion on, or to have a fellow feeling with. Jesus sympathizes with, has compassion on, and has a “fellow feeling” with our weaknesses. In the original Greek language, the word “weakness” is astheneia, and it means weakness, illness, suffering, calamity, or frailty. I’ve tried my best to learn and speak their language. I’ve tried my best to listen, feel, and understand them. I’ve tried to be wise about verbalizing the many annoying questions I want to ask daily. I’ve tried to not judge. I’m humbled, and for the poor and suffering, I see first-hand that empathy is the only God-honoring option. Your friends and family members? Do I always try my best to learn and speak my husband’s language? Do I always try my best to listen, feel, and understand him? Do I always try my best not to judge my boss or coworkers? Do I always try to be wise about my words that could annoy my friends and family members? What I’m experiencing these past 32 days is similar to a short-term missions trip. I can humble myself and be empathetic for this limited period of time. But am I willing to live a lifetime of unlimited empathy toward everyone around me? I can’t tell You how grateful I am that You left the comfort of Heaven to come be with, listen to, feel for, understand, and give Your life for us. You demonstrated pure humility and empathy to us. Help us to live the very same way—especially around those we often take for granted. Amen. Thank you! I just prayed this morning for the Lord to show how I can be a better , wife, friend, and most of all His servent. Listening is not a very strong point for me. My ears don’t tune in very well at times. Well what I want to hear it’s just fine. I hate to say. This one I will be reading over and over. Thank you! Learn to Share the Good News! Sign up for my weekly email, and receive my 3-part video series simply called "How to Share the Good News". Lord, if only you had been here!! © Copyright 2017 Caryn Candia. All rights reserved.